Work bench and tool storage facility. 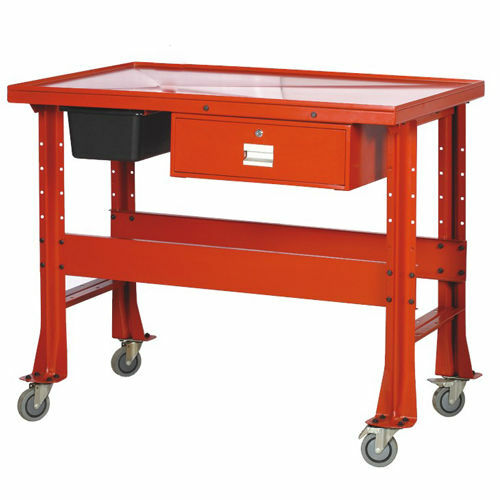 48"x23"table top features a 3/4"rim to contain all liquids when working on engines,hydraulic systems and transmissions. Fluid drains into a special removable polyethylene container. Includes heavy-duty 4"casters(rigid and 2 locking swivel,tool storage drawer on steel ball bearing track.